Free Comic Book WEEKEND Is Coming! 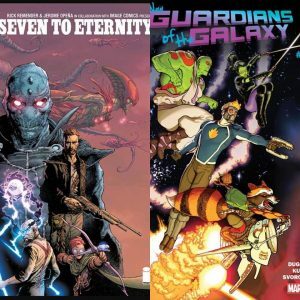 Announcing FREE COMIC BOOK DAY at The Comic Bug! A two-day extravaganza! 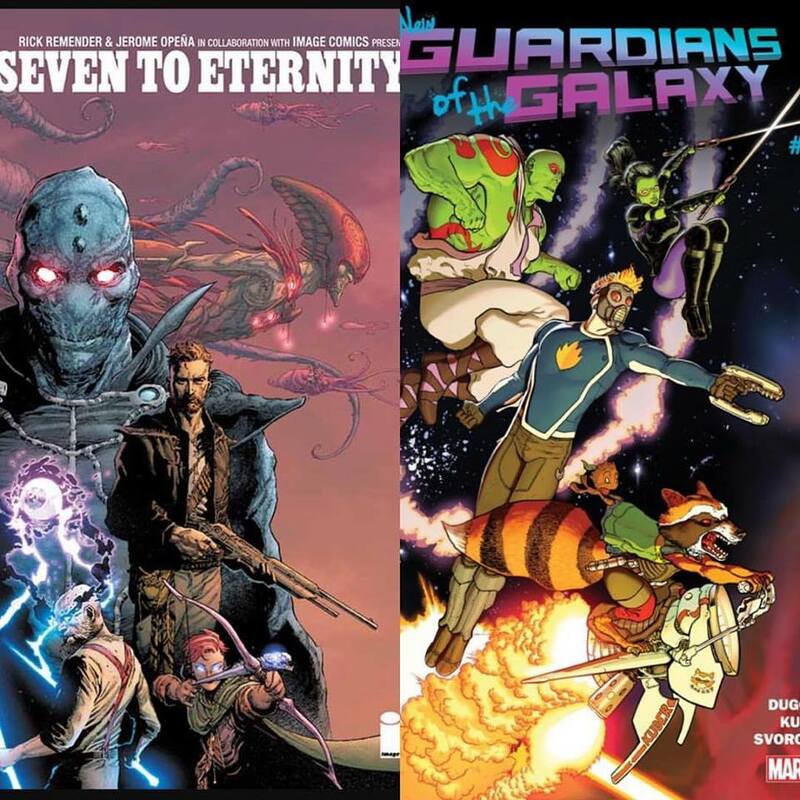 Saturday, May 6, meet writer/creator RICK REMENDER and receive a FREE EXCLUSIVE VARIANT edition of his smash hit SEVEN TO ETERNITY #1 at our Manhattan Beach location! Then, on Sunday, OOGA CHAKA on over to CULVER CITY to meet the creative team behind ALL NEW GUARDIANS OF THE GALAXY! Star Lord! Groot! Rocket! Gamora! Drax! Writer GERRY DUGGAN and artist AARON KUDER will be onhand to sign copies of our exclusive variant to All New Guardians of the Galaxy #1! You know THAT'S NOT ALL! But this is where it begins. We'll have all sorts of great things popping off each day, from cosplayers to free refreshments, clothing and toys to some of the hottest up and coming indie talent as well as the creators you know and love! Oh, and did we mention THOUSANDS OF FREE COMICS?!! See you here and THERE, Saturday and Sunday, true believers!